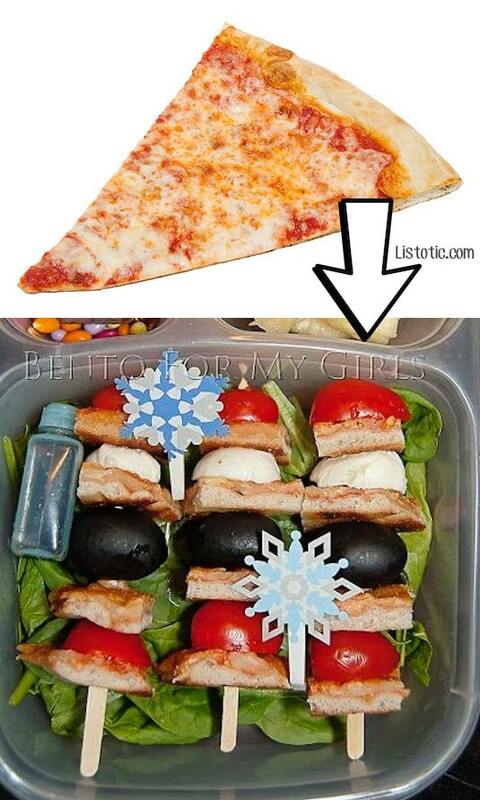 I think part of the reason pizza is so popular is because it tastes great leftover, but I love the idea of incorporating it into a school lunch. It’s so hard to keep school lunches exciting as we get further and further into the year– sandwiches get boring! 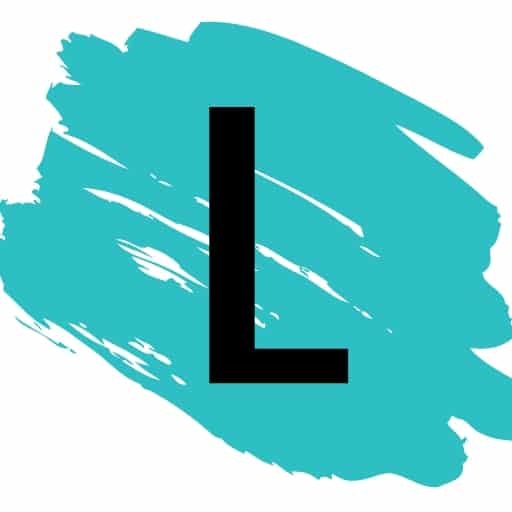 Use leftover pizza to make kabobs by adding in a few of their other favorite fresh ingredients (tomatoes, olives, basil leaves, ham, cheese, pineapple, etc.). I don’t think I’ve ever had a grilled corn fritter in my entire life, and I’m starting to feel like I’ve been missing out on something amazing. The next time you have leftover corn, don’t let it go to waste! 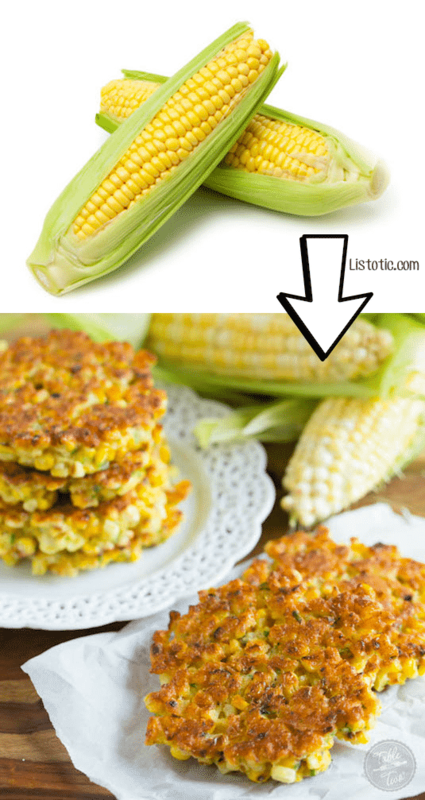 Use it to make these easy and delicious corn fritters! Corn just got taken to a whole new level. Leftover spaghetti and meatballs? Great! 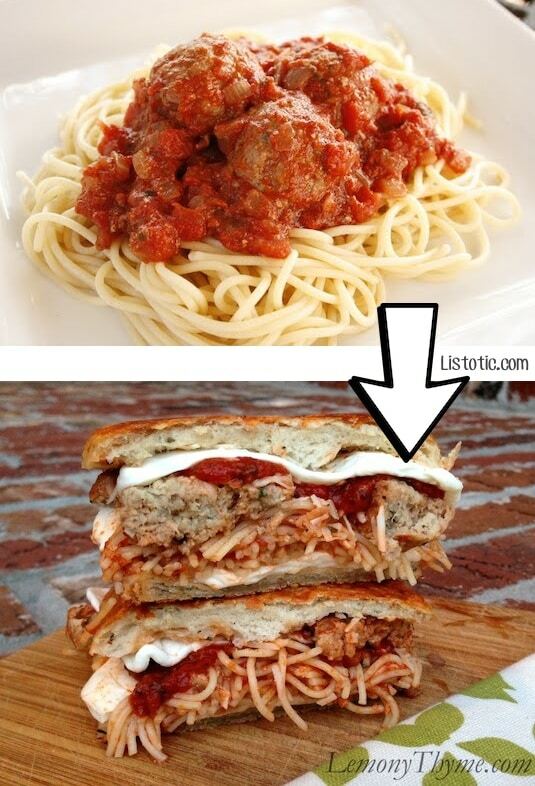 Turn that pasta into a heavenly spaghetti sandwich! There’s nothing wrong with doubling up the carbs, not when it tastes this good. I say the more added cheese, the better. Maybe even throw in a few basil leaves for added flavor.